Epson WorkForce Pro GT-S50 - Sheetfed scanner, 600 dpi, 75 sheet capacity, 25ppm. Includes: Image Scanner, CD-ROM with scanner software, CD-ROM with PaperPort software, Start Here poster, Hi-Speed USB 2.0 cable, AC adapter with power cable, Carrier sheet. Power supply also included. 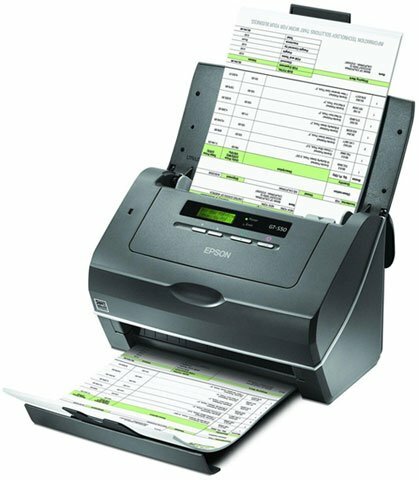 The Epson B11B194011SD is also known as Epson POS Products	EPS-B11B194011SD	.